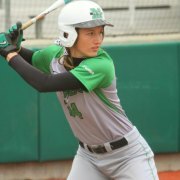 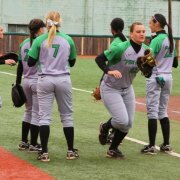 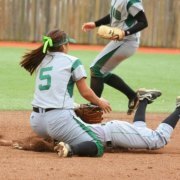 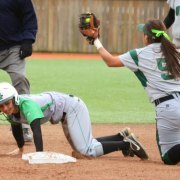 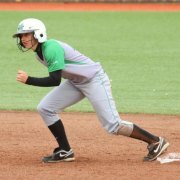 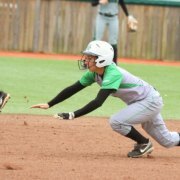 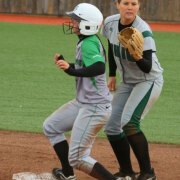 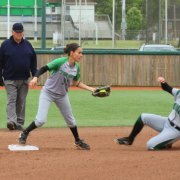 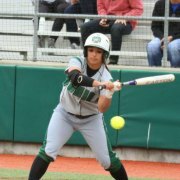 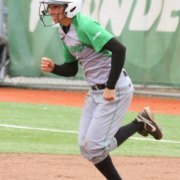 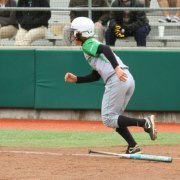 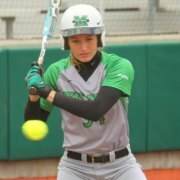 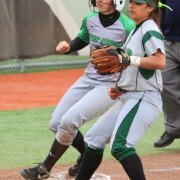 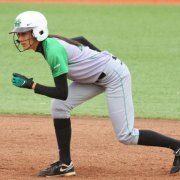 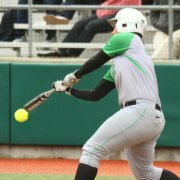 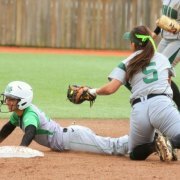 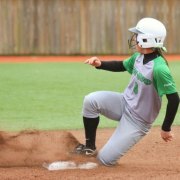 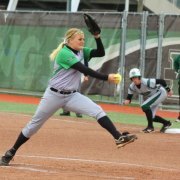 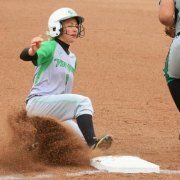 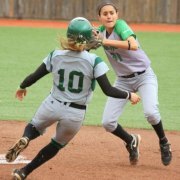 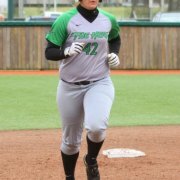 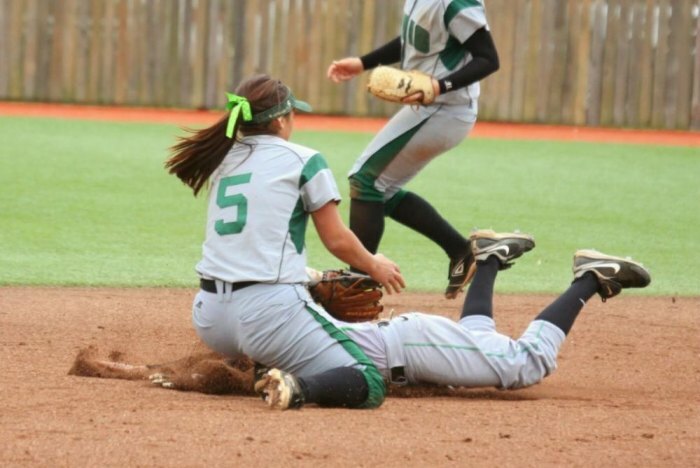 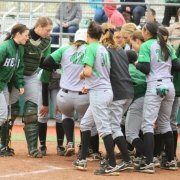 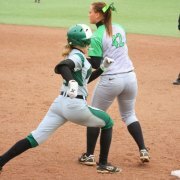 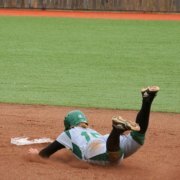 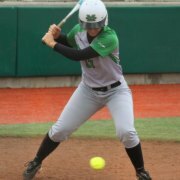 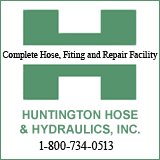 (HUNTINGTON, WV ) The Marshall softball team won over rival Ohio at Dot Hicks Field in a double header winning 17-6 in the first game and 10-0 in the second game. 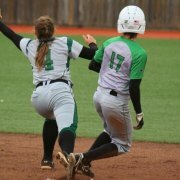 Both were five inning mercy games. 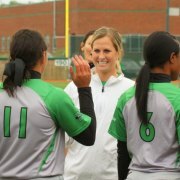 Marshall softball Coach Shonda Stanton was honored for her 400th softball win that happened on April 1 at UTEP with an 8-0 win. 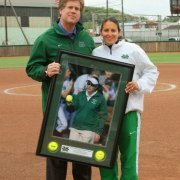 Marshall Athletic Director Mike Hamrick honored Coach Stanton with a presentation of a framed photo of her before the game. 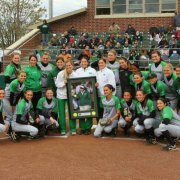 Coach Stanton also had a picture made with the team. 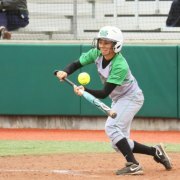 Marshall's Alysia Hively was 3-3 in the first game hitting two home runs. 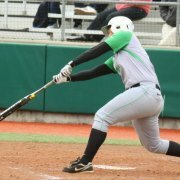 One was a grand slam. 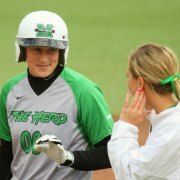 That scored seven runs to help the Herd to the 17-6 win. 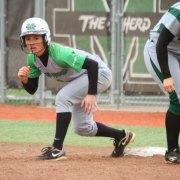 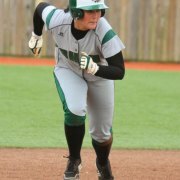 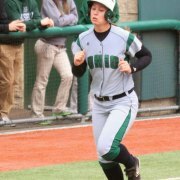 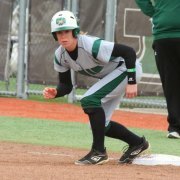 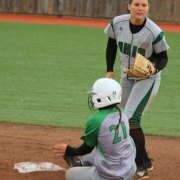 It was the most runs scored all season for the Herd. 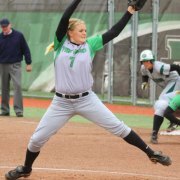 In the second game strong pitching from Marshall's Erika Bennett limited Ohio to three hits. 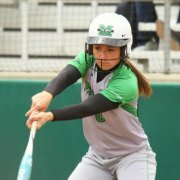 Marshall kept the bats rolling again for the 10-0 win. 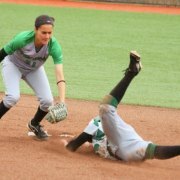 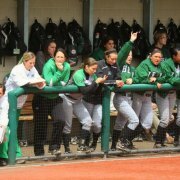 Marshall 24-16 will now play Tulsa this Saturday (April 14) at 1 PM and 3 PM. 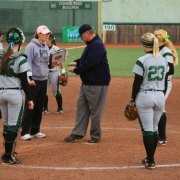 There is also a Sunday game scheduled to start at noon.